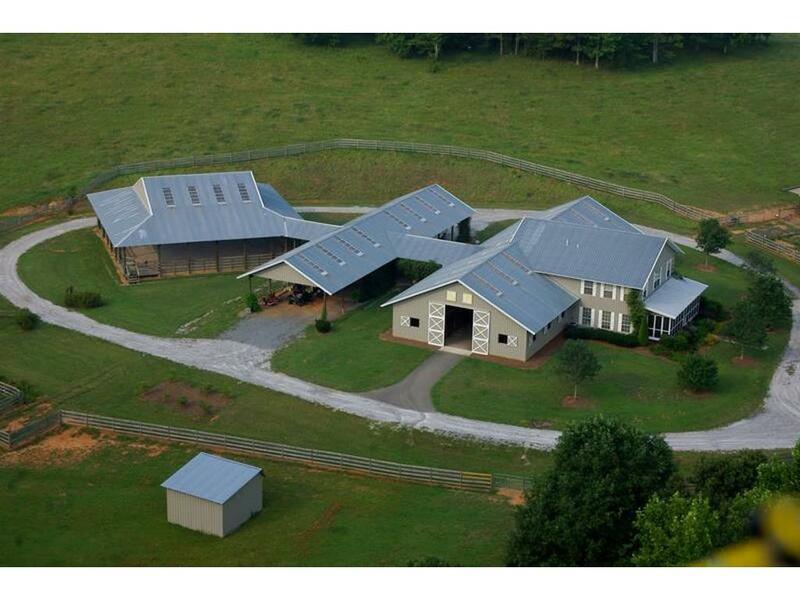 Incredible horse property w/outstanding features includes 2 apartments and 10 stall top-of-the-line barn. Total of 38 acres with 26 in established pastures and 10 in wooded bridle paths. Architecturally designed barn area includes 12x14 stalls, auto waterers, fly spray system, tack room w/laundry area, feed room, wash rack, and covered walkway to covered arena. All this in a beautiful, quiet country setting. Directions: From Intersection Of Highways 515 And 53 In Jasper Go West On 53 For ~8 Miles. Go Left Onto Hamrick Road Just Before Scarecorn Creek Bridge. Property On Left.